What I Got For My Birthday 2015! I apologise for lacking in blog posts recently, I know I use this excuse a lot but I have been SO BUSY!! On Saturday 11th July it was my birthday and I had such a lovely day and received some amazing presents which I love so I am going to share some with you. Just a little disclaimer, I’m not trying to brag at all about the gifts I received I am so thankful for everything and thought it may interest you if I wrote a post about it! So from my parents I actually received the Alex 6 Drawers from Ikea. You may have heard that most beauty YouTubers have the Alex 9 Drawers to store their make up but I don’t have room for the 9 drawers so I chose the 6 drawers. These are really nice and I have already filled them up! 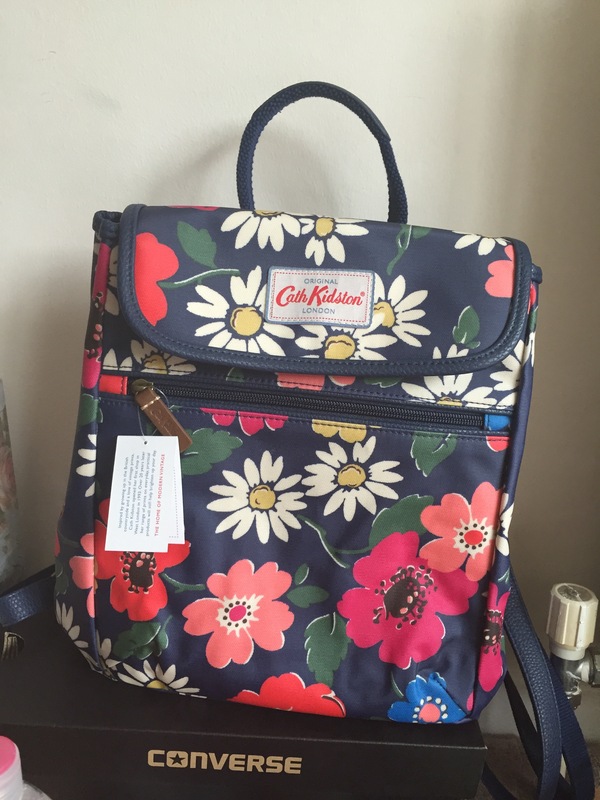 I also got this floral Cath Kidston rucksack which I love! I actually work at Cath Kidston so I had been eyeing up this bag for a while! It is such a great day bag and is the perfect. From experience I know that Cath Kidston bags are such great quality and last a very long time. I also got some products from Zoella’s beauty range including the two new products ‘Let’s Spritz’ Body Mist and the ‘Fresh Fizz’ fizz bar which are in the scent tutti fruity. These two products smell so summery and fresh and I love them! I also received the ‘Soak Opera’ Shower and bath cream which smells amazing. 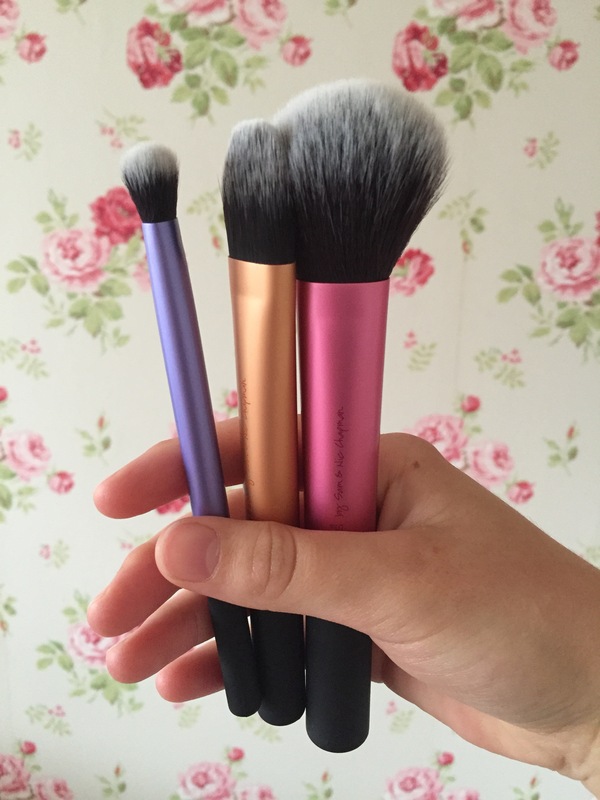 I got the Real Techniques Travel Essentials Brush Set which is great as it comes with a multi task brush which can be used for bronzer, powder or blusher (I’m going to use for powder), a foundation or concealer brush and an eye shadow brush. This set is really great and I love it!!! It also comes with a travel bag to put the brushes in when travelling. 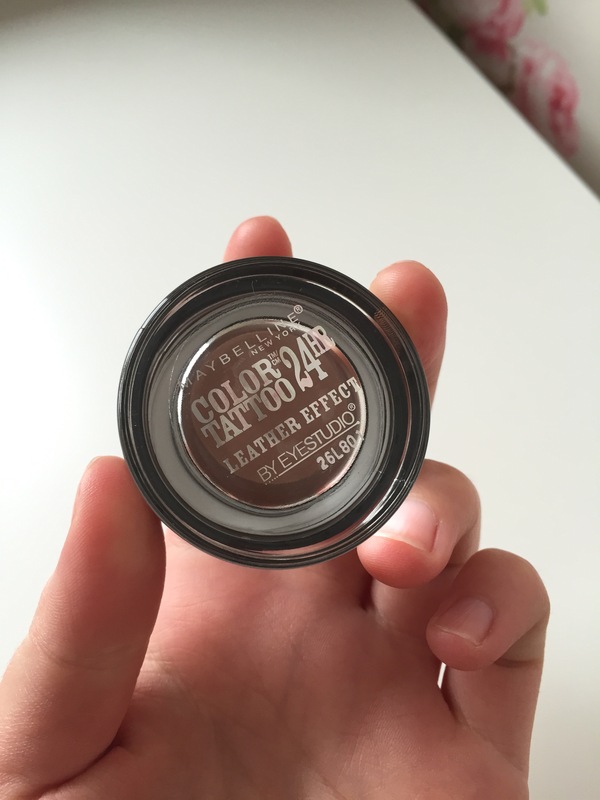 I also got the Maybelline Colour Tattoo in the shade Creamy Beige. I had wanted this for quite a while so I am very happy I have finally got it! This colour is so natural and would make the perfect base colour or just left on its own. I also got The Body Shop Honey Bronzer in the shade 2. 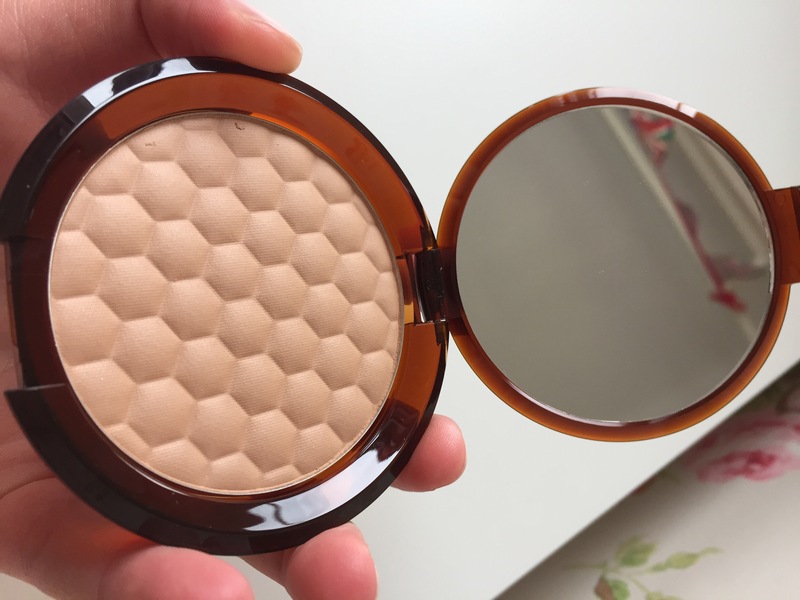 This bronzer is very natural and gives your skin a glow which I love. It is quite pale however it still shows up on my skin. I have heard really great things about this bronzer so I’m sure I will like it! I also got the Topshop Lipstick in the shade Innocent. 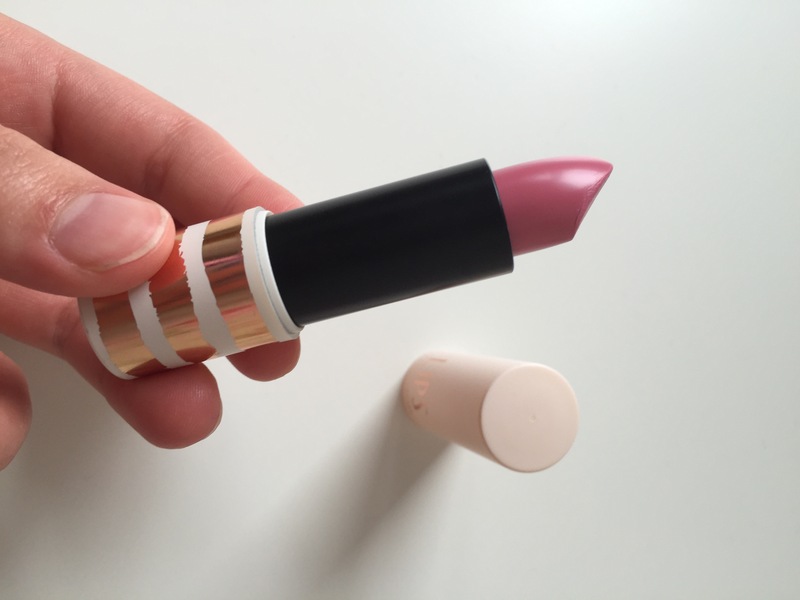 This lipstick has a really lovely creamy consistency and smells amazing however this shade looks a bit too “barbie” on me as I have quite olive skin. I will try and make it work with my skin by mixing it with other colours. The colour is a mix between a pastel purple and a bright pink. I love all of my presents and I am very thankful.